The International Forum on Globalization (IFG) released a special report today, “Outing the Oligarchy: Billionaires Who Benefit From Today’s Climate Crisis,” which identifies the world’s top 50 individuals whose investments benefit from climate change and whose influence networks block efforts to phase out pollution from fossil fuels. 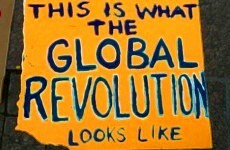 The world’s richest corporations and capitalists have been branded by the Occupy Wall Street movement as the “one percent,” yet there has been scant attention to the individuals within in the “one percent” who have greatest responsibility for greenhouse gas emissions. Little information has been publicly available about the identities of the industrialists, investors and ideologues who are most responsible for the decisions over carbon-intensive activities that drive greenhouse gas emissions far past danger levels. IFG’s new report brings this information to light. The task of calculating carbon decision-making footprints is highly complex. However, IFG’s new study is an initial step in what will be a longer-term initiative of analyzing the roles played by the planet’s worst carbon culprits and how they fund sophisticated influence networks over almost all aspects of government policymaking, especially energy. “India’s Great Oligarchs are exposed in the IFG report for their get-rich-quick gambles to grab more land and resources, which, in turn, concentrates even more political power in fewer hands in ‘the world’s largest democracy,’” said co-author and IFG board member from India, Dr. Vandana Shiva. IFG is a global research and education center that helps bring grassroots perspectives to international economic and environmental policies. Based in the Presidio of San Francisco, California, IFG emerged in response to the creation of the World Trade Organization and was instrumental in educating people to turn out for the WTO’s 1999 ministerial in Seattle. Among IFG’s numerous reports is the 2001 title, “Does Globalization Help the Poor?” which examines the impacts of global free trade on poverty. In addition to its research, education, and monitoring of multilateral trade, investment, finance, environmental, and human rights rule-making, IFG has been intensively engaged in global climate talks since the U.N. climate conference in Bali in 2007. Contrary to popular beliefs, extremes in wealth are bad for society, the economy, and the planet. Reducing the extremes in wealth is therefore a major goal for progressives of all kinds. As of 2011, there were well over one thousand billionaires on the planet. Consider for a moment what $1 billion represents. If you were to count out one dollar a second on a 24/7 basis, it would take you about 12 days to reach one million dollars. But you would not reach one billion dollars until almost 32 years after you began this boring process! At a mere 2% rate of interest, this sum would provide you an annual income of $20 million dollars. Simply with this interest income, you would have to spend some $55,000 a day, every day of the year, to clear out your account to make room for the next $20 million to come in the next year. The person identified by the 2011 Forbes list of billionaires as the world’s wealthiest person is Carlos Slim Helú of Mexico, with some $74 billion in assets. At a ridiculously low 2% interest rate, Mr Slim would have the arduous task of spending more than $4 million each and every day of the year to make room for the next year’s interest income. But he may well own the bank, so it should be quite easy for him to not only hold on to this modest income, but to actually make considerably more money with it. This is exactly what he did in 2010, having amassed some $ 22 billion dollars in that year alone. While the thousands of people who own billions of dollars—or even hundreds of millions of dollars—become ever richer, at least a quarter of the world’s population lives below the official (and totally artificial) “poverty line” of less than $2 a day. In 2005, the World Bank defined the poverty line as $1.25-per-day in terms of purchasing power parity. However, if poverty were to be defined in terms of meeting basic needs and providing a minimum of creature comforts, the proportion of people living in poverty would be considerably higher. To provide a stark visualization of the unequal distribution of the world’s income, picture a parade in which all 30 million Canadians are invited to march. The year is 2007 and the height of the marchers is determined by their income. The entire parade takes one hour. The parade starts with the lowest income marchers and ends with the wealthiest. In the first few minutes, the first marchers are only about a foot tall–those earning only a few thousand dollars a year. The height of the marchers slowly rises until, at about 15 minutes into the hour, the marchers are about 3 feet tall. The parade continues for about 40 minutes before we start to see people of normal height (that is, after more than 66% of the population has marched by). In the last 10 minutes, marchers of about 7 or 8 feet in height appear. In the last 6 minutes, we behold a contingent of marchers more than 14 feet tall. But the last minute of this hour-long parade is what is eye-popping. With only 25 seconds left in the parade, marchers towering 30 feet high appear. In the last few seconds, the real giants march past, some thousands of feet tall. The final marcher in the parade towers over 8,000 feet tall—more than a mile high! The Canadian parade, however, is small stuff compared to a similar parade for the United States population. For most of the parade, the heights of marchers are pretty similar. But in the last fraction of a second we would need binoculars to see the faces of the marchers, some three miles high, with the last marcher topping out at the level of a high-flying aircraft, some 110 miles above the surface of the planet. Note that the above examples reflect annual income, not accumulated wealth, which would demonstrate an even more dramatic distribution of wealth. The current extreme distribution of wealth is unprecedented in human history. At the very top end of wealth distribution there are some 9.5 million people (a mere 0.14 % of the global population) who own about 25% of the total financial wealth on the planet. If we look at the wealthiest 10% of the global population, they own a staggeringly disproportionate 85% of global wealth.6 At the other extreme, there are some 2.5 billion people who live on less than $2.50 a day. The entire bottom half of humanity owns only about 1% of global wealth.8 Note that this terribly skewed distribution of wealth leaves very little for the “middle class,” upon whom the lion’s share of tax burden generally falls. Money or financial wealth represents a claim on resources. According to the above figures, this means that some 10% of the world’s population currently has a legal claim to 85% of the planet’s total resources, leaving 90% of the world’s population with access to a mere 15% of global resources. The absurdity of this situation is self-evident and a critical indicator that the current global economy is not functioning for the benefit of the majority, but for a select few. Is this concentration of wealth a good thing or bad thing for society as a whole? This is a question that rarely receives any serious attention. In fact, to even ask this question is to be accused of engaging in “the politics of envy.” Our global culture is now predisposed to regard the accumulation of wealth as a good thing. The arguments are made that those who earn vast fortunes deserve them because of their hard work, cleverness, creativity and by outperforming other worthy competitors. This is the fairness argument. It is further argued that these smart folks are the ones who know best what to do with all this wealth—by creating jobs and contributing to economic growth. This is the economic or public good argument. A related argument is the motivational one—great financial rewards are essential to motivate people to strive for big achievements. It is also argued that by engaging in philanthropy to help those in need, the wealthy make a significant contribution to society. This is the redistribution argument. With all these supporting arguments, how could anyone think wealth accumulation is a bad thing? First of all, they may not have earned it, they may have inherited it. The easiest way of acquiring a large fortune is to be born into a wealthy family that has been accumulating wealth for a long time, preferably centuries. The Rothschilds would be a good example but there are many others. Examples of inherited wealth on a shorter time scale would include families like the Rockefellers and the Morgans; there are many more. This unearned, inherited wealth grants enormous privileges and benefits that allow these inheritors to amass even larger fortunes and, if they so choose, to reshape society, the economy and even the political lanscape. Estate or inheritance taxes have largely been eliminated in many countries. And where estate taxes do exist, the threshold for applying them is often quite high (a few million dollars), so these taxes would apply to very few situations. And with careful—and entirely legal—estate planning, these taxes can be avoided altogether. Secondly, very large fortunes are not infrequently obtained by illegal means, even by “respectable” people.11 For example, Joe Kennedy, the father of JFK and RFK, made much of his fortune bootlegging liquor during Prohibition. This phenomenon is, of course, not restricted to the U.S. Thirdly, even when large fortunes are made by perfectly legal means, there are almost always other factors in play—factors involving luck, good connections, the ability to influence laws that have a bearing on one’s fortune, and sheer ruthlessness. Talent, creativity and hard work may indeed be involved, but it is rare that these factors alone determine who amasses great wealth. Bill Gates could be used as an example here. His access to a computer at a private school (long before this was common), his access to publicly funded advanced computer systems, a parent’s connection to IBM, and his willingness to ignore the superior talent of someone who was a friend (and had actually done the major development work long before Gates became involved), indicates how factors other than talent and hard work can determine who becomes super wealthy. There is even an argument to be made that Gates actually retarded the development of personal computers; that his involvement led to a more commercially oriented system; and that a superior alternative would have produced greater social benefits. Are we rewarding genius or stealing from the common treasury? The history of invention and innovation is filled with examples of multiple individuals or organizations coming up with very similar ideas almost at the same time. There are also many cases where the original inventors lost out on financial rewards for their inventions to someone with a bit more business savvy or who was more ruthless in their pursuit of personal gain. Talent and hard work are not always rewarded. This is not to say that Bill Gates did not work hard and made some contribution to a social good—i.e., by making personal computers readily available to large numbers of people. But Gates’ history does call into question the concept of a “uniquely talented” innovator and suggests his fans may have seriously overlooked the role of common intellectual property in making any invention worthwhile. Bill Gates did not invent the personal computer, nor did he make a significant contribution to software for operating systems. He did make a contribution, but it was marginal compared to the vast store of common knowledge that preceded his involvement. The history of the technology for the computer goes back, at least, to 17th century weaving in France, where a system of punched cards was used to significantly increase weaving efficiency. This was later improved somewhat by Herman Hollerith14 who modified the basic idea for use in providing inputs to computers. There were literally hundreds, if not thousands, of small steps that have brought personal computers to the point where they are today. See the hole document below.